CPAP Chin Strap, BUY Cpap Strap, cpap mask strap, CS004. This Product is subject to a 3-5 day lead time. CPAP Chinstrap, manufactured by Sunset Healthcare, are Deluxe chinstraps for use with Respironics Masks. These chinstraps feature a wide strap that reduces pressure on any one point. 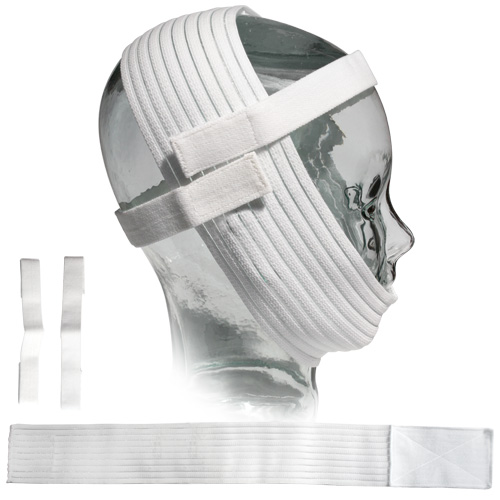 This extra wide chinstrap keeps the mask in place by attaching to itself. This CPAP Chin Strap attaches to itself on the top of the head, as well as, across the forehead.